Residents can expect to see volunteers at their door canvassing for food donations on May 2 when the Lennox and Addington Poverty Reduction Committee hosts their annual spring food drive. Donations collected will be split between the Napanee Salvation Army and Morningstar Mission, which will then be distributed to families and individuals in need of assistance. Volunteers interested in covering a route and going door-to-door on behalf of the agencies can call the Mission at 613-354-6355 ahead of time. They can request a specific route or have one assigned to them. 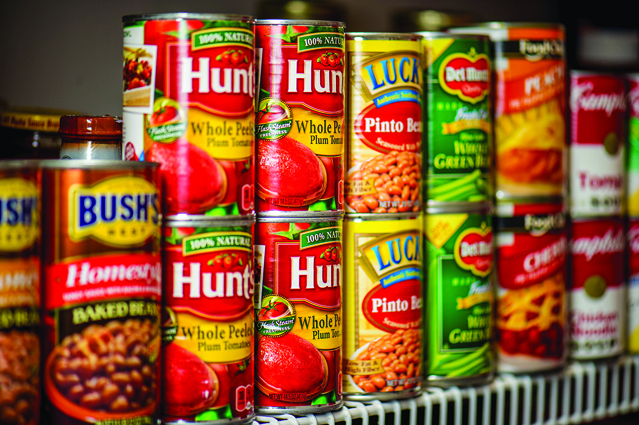 Now over a decade old, the spring food drive was first developed with the intent of helping to stock the food bank’s shelves during the lull in donations seen between holiday seasons. In recent years its become even more critical as the demand has continued to rise. Kevin Alkenbrack, executive director at the Mission says he’s seen the same thing, estimating a 25 per cent increase in people using their services over the last year. Residents looking to donate to the food drive can check the flyer that will accompany the April 25 Napanee Beaver for a complete list of most desired items. They include bagged carrots, canned meats, canned milk, dried pasta, pasta sauce, peanut butter and canned items with a pop tab, among other items. Anyone who won’t be home on May 2 between 5:30-7:30 p.m. can still help out by leaving a bag of items on their porch, with the flyer attached to it to indicate it’s a donation. Alkenbrack says he’s hoping to get enough volunteers to knock on every door in Napanee, Tamworth, Enterprise and Yarker. On the day of the drive volunteers will meet at the Mission at 59 Water Street in Napanee before heading out onto their routes.